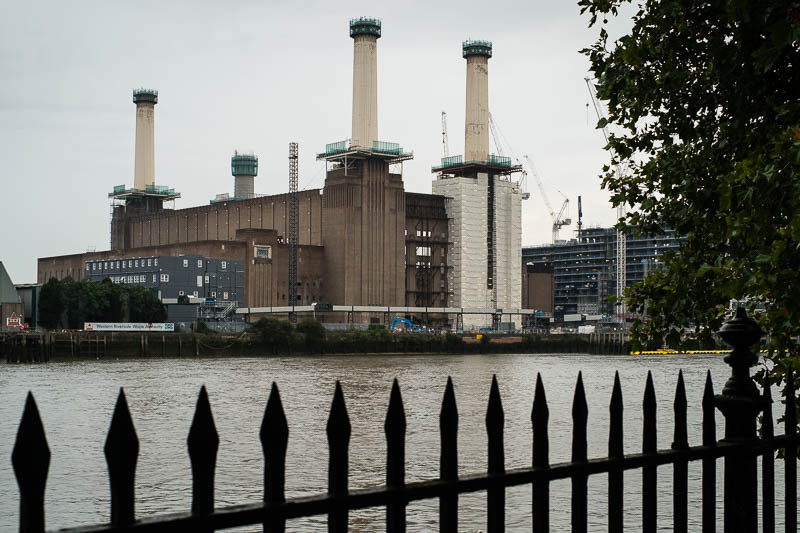 Battersea Power Station has seen developers come and go and the building remains empty. The latest development is seeing the chimneys come down (they are unsafe) and they are from accounts to be replaced with safer copies. The rest of the development appears to be offices and yes luxury apartments. The whole area around Nine Elms has seen many tall blocks of apartments shoot up in the past couple of years. The major changes began with the tall new building of the American Embassy. Aglimpseoflondon will pop back from time to time to show you pictures of the changes. That's quite a landmark to be going through such a change. It has a very industrial feel to the structure.